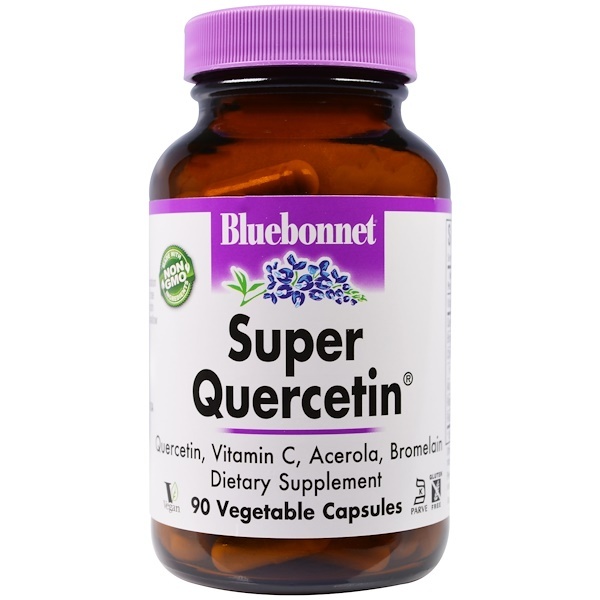 Bluebonnet's Super Quercetin Capsules are specially formulated with a high potency combination of quercetin, Identity-Preserved (IP) vitamin C, rose hips, acerola, citrus bioflavonoids, hesperidin, rutin and pineapple bromelain. Available in easy-to-swallow vegetable capsules for maximum assimilation and absorption. 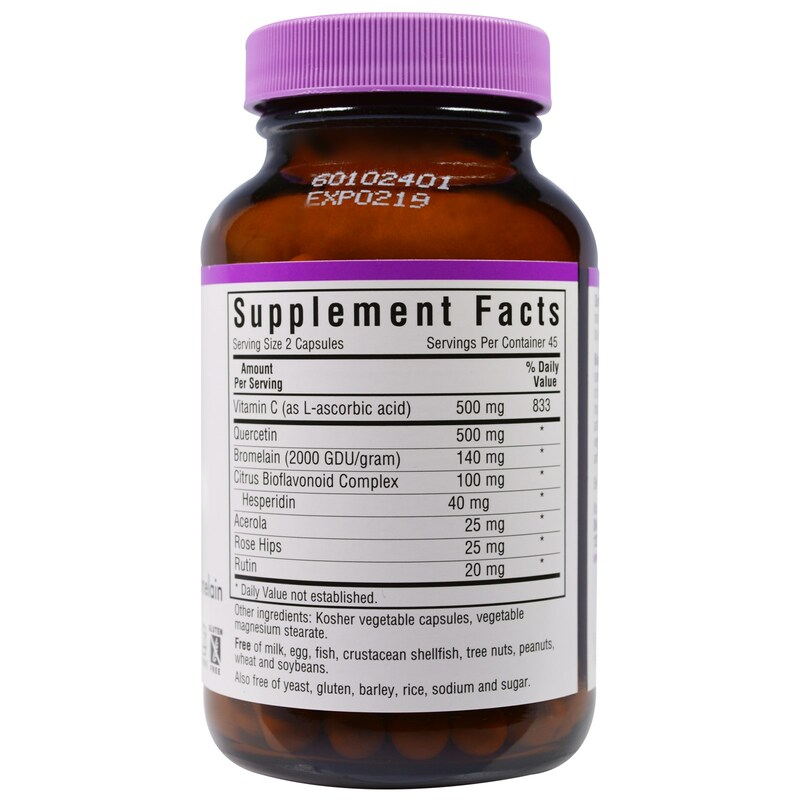 As a dietary supplement, take two capsules once daily or as directed by a healthcare practitioner. Kosher vegetable capsules, vegetable magnesium stearate.